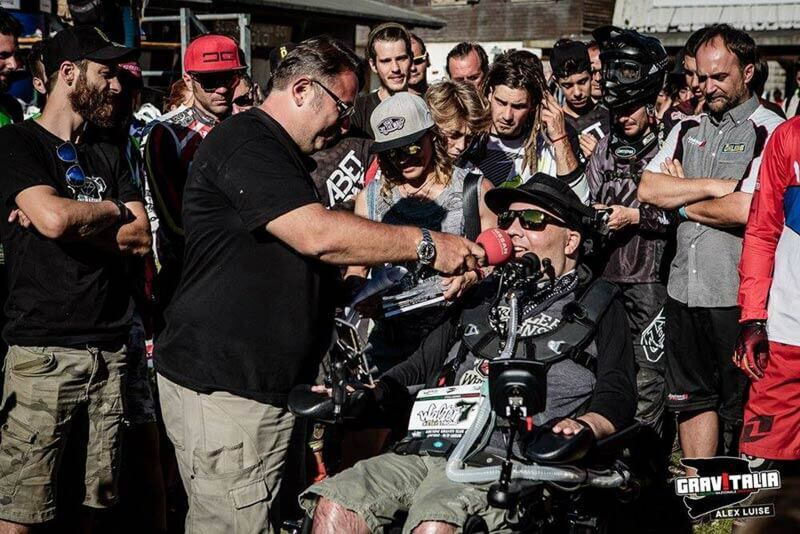 "My passion for downhill biking has remained strong, despite what happened to me. In fact, the more time goes by, the more I fall in love with every aspect of this sport." I wrote this in an open letter to welovetoride.it and I’ll never forget the epic day when I was able to experience this sport again on the front line. In July, I went to the Italian DH Championships at Abetone Park. It was the first time I’d seen the ‘big family’ in almost two years. 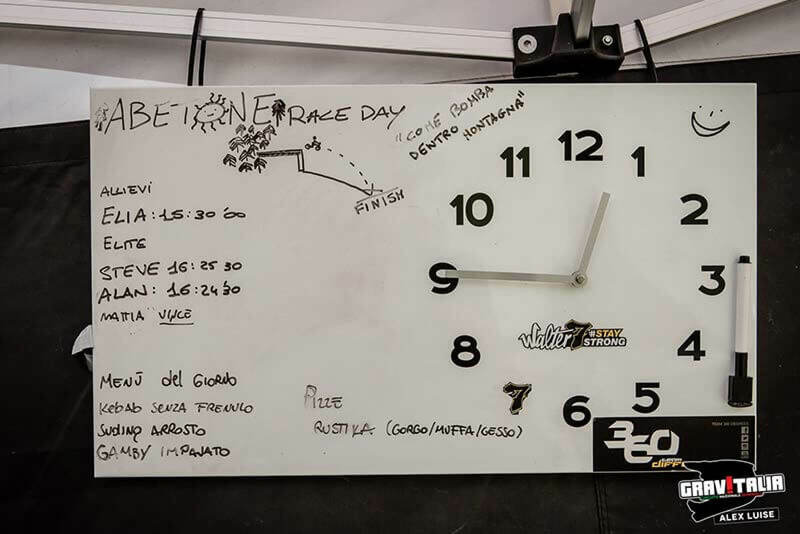 My team was racing; Alan Beggin, reigning elite champion in Italy, was defending his title. I had a crew with me filming for my new project. I saw so many friends again, so many people I hadn’t seen for ages, including Migi and Fez who produced the video ‘Simply Different’ with us back in the early days. I got a standing ovation! I counted the minutes, but they just kept going, I didn’t know what to do so I just smiled like mad and let the emotions flow! As soon as I got out of the car that morning, I realised I had lost my voice and panicked! But my desire to ‘be there’ was too strong and, voice or no voice, I was there and I was going to see it through to the end! That day, I witnessed a phenomenal gathering. Italy’s national standard is, at last, growing thanks to people who dedicate a lot of their own time to networks like Gravitalia, which are founded on young people and the drive to improve this sport day after day. 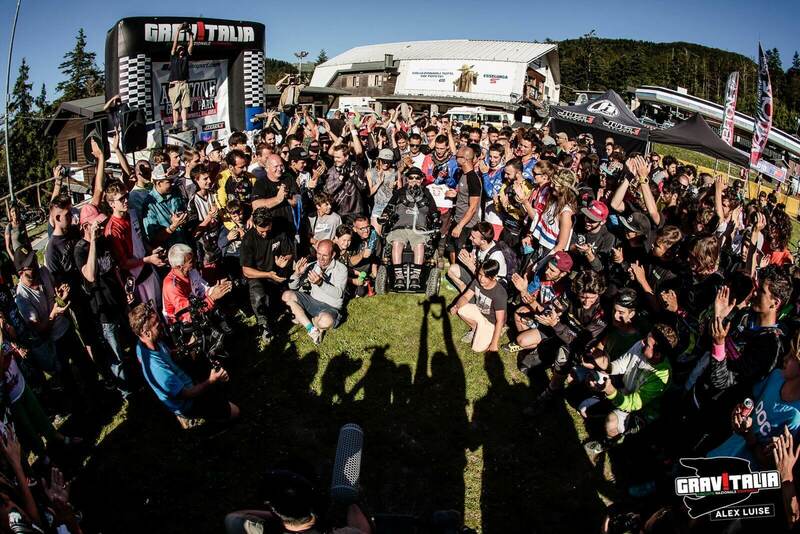 On that epic day I felt as though I had been literally welcomed in by the big family, the world of downhill racing that has always supported me and that I would like to thank with all my heart. To name a few (because the complete list would be way too long): Romano Favoino, Bruno Zanchi, Roberto Vernassa, all the race organisers, all the athletes and staff from all the teams and sponsor companies, Pier Paolo Marani who created a trophy in my name for the 7th national championships, for the children’s category and a mini DH circuit in Emilia Romagna. It was a party, a reunion. It meant so much to me, I can’t even find the words to describe it. I feel as though I have an extra family, one that I chose and that chose me. I found it: it’s the big family of Italian DH! Two words: thank you!